USB Hubs USB is intended to be a user friendly, hot plug-and-play bus for desktop applications. With the growing popularity and wide public acceptance for this protocol, USB has recently become the standard connection in the PC environment. 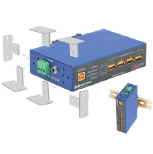 Devices such as data acquisition, serial, parallel, Ethernet, etc., can now be connected to USB through bridges. These bridges extend the desktop into environments not originally foreseen for USB applications. 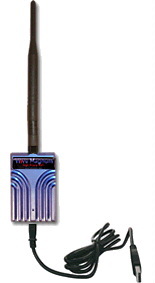 Description: High performance 15 dBi omni directional wifi antenna feature integral N-Female connectors. perfect for multipoint and mobile applications where high gain and wide coverage is desired. Description: Use legacy serial devices with USB PCs and laptops. Adds a COM port to your USB PC. USB 1.0, 1.1, and 2.0 compatible (12 Mbps) Full handshake support (TD, RD, RTS, CTS, DTR, DSR, DCD, RI, GND). DB9 male (DTE) Baud rates up to 460 Kbps. DB9 female or terminal block. Supports TDA, TDB, RDA, RDB, GND. Baud rates up to 921 Kbps. Use on RS-485 2-wire or RS-485 4-wire networks. Supports Send Data Control (SDC). Includes 1 meter USB cable. Universal Serial Bus (USB) has become the connectivity workhorse of today’s PCs, replacing the familiar serial ports. However, many commercial and industrial devices still an RS-232 or RS-485 interface. To connect these devices to modern PCs, you need a simple and reliable conversion solution. Description: Get the extended range and multi-drop capability of RS-232 or RS-422/485 from the USB port of your PC. Isolated models protect PCs and laptops from dangerous surges and spikes on the network. Windows automatically configures the serial output as an additional COM port, compatible with your Windows application. Isolated versions available please call. Powered and non powered USB to Serial that really work ! Description: Add two or four COM ports to your USB PC LEDs on transmit and receive lines. USB 1.0, 1.1, and 2.0 compatible (12 Mbps) Automatic configuration on Windows 98, ME, 2000, XP, Vista and 7. No power supply required (powered from USB bus) -P models can be bus powered or externally powered Recommended external power supplies. Description: Get the extended range and multi-drop capability of RS-232 or RS-422/485 from the USB port of your PC. 2000VDC optical isolation protects. PCs and laptops from dangerous surges and spikes on the network. Windows automatically configures the serial outputs as additional COM ports, compatible with your Windows application USB 1.0, 1.1, and 2.0 compatible (12 Mbps). No power supply required (powered from USB bus). Description: Get the extended range and multi-drop capability of RS-232 or RS-422/485 from the USB port of your PC. 2000VDC optical isolation protects PCs and laptops from dangerous surges and spikes on the network. Windows automatically configures the serial outputs as additional COM ports, compatible with your Windows application USB 1.0, 1.1, and 2.0 compatible (12 Mbps). No power supply required (powered from USB bus). Description: Connect an RS232 serial device to your PC through the USB 2.0 port with up to 230 kbps data transfer rate. 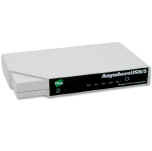 Description: Edgeport USB-to-serial converters offer an easy Plug and Play solution for COM port expansion. An external box alternative to PCI cards, Edgeport connects serial devices to a PC or server's USB port, eliminating the need to open the chassis, reconfigure and reboot. Simply plug in the Edgeport and in minutes gain up to 16 serial ports to connect bar-code scanners, printers, or any serial peripheral device. Description: The first truly “rugged” USB to serial converter. These industrial-grade, isolated, USB to serial converters add two or four RS-232/422/485 ports to your USB only PC. 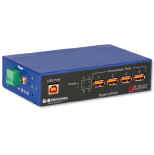 Built to rugged specifications, feature 2 kV Port-to- Port Isolation. This means that your upstream PC is isolated from downstream serial devices and downstream serial devices are isolated from each other and the upstream PC. Ideal for harsh environments, they feature heavy-duty metal enclosures (with panel and DIN rail mounting options), high ESD protection, shock and vibration testing, and wide operating temperatures. Please call for RS-422/485 options. Description: The first truly “rugged” USB to serial converter. These industrial-grade, isolated, USB to serial converters add two or four RS-232/422/485 ports to your USB only PC. Built to rugged specifications, they feature 2 kV Port-to- Port Isolation. This means that your upstream PC is isolated from downstream serial devices and downstream serial devices are isolated from each other and the upstream PC. Ideal for harsh environments, they feature heavy-duty metal enclosures (with panel and DIN rail mounting options), high ESD protection, shock and vibration testing, and wide operating temperatures. Please call for RS-422/485 options. Universal Serial Bus USB Isolators - Protect and Isolate USB enabled devices. Strong enough for Industrial, Medical, and Hospital applications. 1 port and multi-port designs available. Also four models are available to choose from. Select a low speed version or if you are using a low speed device. An example of a low speed device is a mouse or keyboard. Use the full speed version for full speed USB device. A full speed USB device could be a scanner or test instrument. Description: At just 2.0 x 1.7 x 0.8 inches, these little isolators pack a powerful punch against electrical noises, surges and spikes – up to 4kV isolation. Protect expensive PCs and equipment from damaging electrical storms, power surges and other high EMI/RFI disturbances. Description: Stop surges, spikes and ground loops from damaging your PC or connected devices. This is a four port USB hub with 2500 VAC isolation. USB Extender - Communicate USB data up to 500 meters (1640 feet) "legally The USB standard calls for a maximum range of 5 meters, but you can extend this useful protocol up to 100 meters (330 feet) over standard UTP cabling and up to 500 meters (1640 feet) on fiber using these devices. They are fully compliant with the USB 1.1 specification and deliver all of the benefits of USB, including remote device powering, Plug-and-play operation, and cross-platform flexibility. Complete with power supplies and 1 meter USB cable when required. Description: Yes, you can extend USB cables beyond 5 meters! Ulinx USB extenders are composed of two separate units, the local extender and the remote extender. Use Category 5 UTP cabling to connect the extender units. USB extender supports USB 2.0 peripheral devices at speeds up to 480 Mbps over a distance of 50 meters (164 feet). Transmit USB signals up to 198 feet. These cables are active devices that refresh the USB signal. No external power required. These extenders replenish the operating voltage to remote devices through the PC USB port. USB operates at up to 198 feet over standard Category 5 networking cable. Suitable for USB 1.1. You supply the desired length of Cat 5 cable with RJ45 M connectors. Description: PC Video and USB Extension - extend Video (1080p) USB over Fiber up to 10km (6.2mi), Cat 5 100m (328ft) and Wireless 30m (98.4ft). Plug and Play - no drivers, setup or configuration required. Supports all major OS including: Windows, MAC OS, Linux. Hot Swappable - USB devices can be added or removed at will. Fully Transparent - USB devices work as if plugged directly to PC. Complete USB Support - USB 1.1 and USB 2.0 devices supported, Fiber versions offer isolated USB ports. Description: CAT5 to 5 USB ports Up to 230 Kbps per port - USB Compatibility – USB 1.0, 1.1, and 2.0. (USB 2.0 devices operate at USB 1.1 speeds). Description: Up to 230 Kbps per port - USB Compatibility – USB 1.0, 1.1, and 2.0. (USB 2.0 devices operate at USB 1.1 speeds). Description: Industrial grade, 4-port USB Hub High ESD protection --- Ensures product will keep running with no system downtime High retention USB connectors --- Strong, reliable connections - even in high vibration environments Wide temperature -40 to 80°C --- Withstand extreme temperature conditions Rugged design in metal case --- Suitable for harsh industrial environments Panel or DIN Mount --- Fits into your application with flexible mounting configurations 4000 V isolation --- Meets EN60601-1-2 for medical applications Shock and vibration tested --- 50G shock and 4g vibration. Downstream Power Bus Power = up to 100mA (per port), External Power = up to 500mA (per port) Dimensions 5.5 x 3.5 x 1.4 in (139 x 87 x 35 mm) without panel brackets Operating Temperature 40 to 80°C (-40 to 176°F) Mounting One DIN and two panel brackets included. 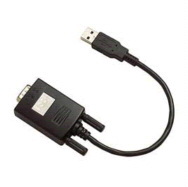 Description: USB Standards USB 1.1 and 2.0 compatible. Upstream port (1) USB Type B Female – High retention (withdrawal >15 N) Downstream ports (4) USB Type A Female – High retention (withdrawal > 15 N) Speed 480Mbps, 12Mbps, 1.5Mbps Isolation 4 kV, Upstream port isolated from downstream ports ESD 8 kV contact, 15 kV air Power LED’s Power On USB Bus ower 5 VDC from USB bus; isolated model requires external power supply Input Power Voltage 10-30 VDC, external power via terminal block or locking barrel plug input. Description: 1 x 14 USB Hub Rack Mount AC Feature-rich design and reliable performance make this ideal for mission-critical environments. Applications include connecting devices to a hub powered by car or truck battery for mobile applications; adding Plug and Play USB compatibility to an older PC or laptop; and connecting USB peripheral devices at an office workstation. Description: AC PS included. Feature-rich design and reliable performance make this ideal for mission-critical environments. Applications include connecting devices to a hub powered by car or truck battery for mobile applications; adding Plug and Play USB compatibility to an older PC or laptop; and connecting USB peripheral devices at an office workstation. Description: Feature-rich design and reliable performance make this ideal for mission-critical environments. Applications include connecting devices to a hub powered by car or truck battery for mobile applications; adding Plug and Play USB compatibility to an older PC or laptop; and connecting USB peripheral devices at an office workstation. Description: AC or DC powered hubs that accept power from standard AC wall plugs or a range of 5.5-30VDC power sources, such as vehicle batteries. Plastic chassis and metal chassis models are available, and both are small enough to fit nearly anywhere.